I don’t disagree with this in principle. Certainly any journalism course worthy of the name would be requiring students to participate in what I like to call “live fire” news exercises. These are usually done under close supervision. However, writing a blog as part of coursework (and for many students it is an onerous requirement of their study, rather than something they enjoy or immediately see the benefits of) is not journalism. Blogging is not journalism and I thought that debate was settled years ago. Nor does publishing (in a very loose sense of the word) to Twitter and Facebook constitute an act of journalism, nor does it make reporters out of students. Sure, every university student has a Facebook presence and some, but not all (and perhaps not even a majority) have a Twitter account, and even fewer are blogging with any regularity, if at all. Despite the hype, the digital natives continue to be social users of social media and rarely do their tweets or Facebooking or other encounters with social media (Instagram, etc) reach what we might call acceptable professional levels. (See for example, Hirst, M., & Treadwell, G. (2011). ‘Blogs bother me’: Social media, journalism and the curriculum. 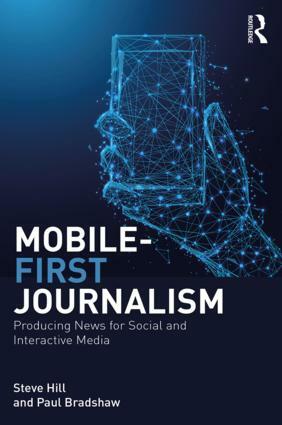 Journalism Practice, 5(4), 446-461. doi: 10.1080/17512786.2011.555367, the pre-publication version is available here). Therefore, our role as journalism educators is more than producing the next generation of newsroom fodder, or even the next Pulitzer prize winner. It is a broader academic role: that of critic and theorist as well as cadet wrangler on behalf of News Corp or whomever the employer is likely to be. For 20 years I have operated my journalism courses according to the principle that the classroom is a newsroom, but also that the newsroom is still a classroom. I believe that this is an important point to make in this current debate because, at the end of the day, we owe it to our students to recognise their status as students first and foremost. To assume that we can (and should) treat them like fully-fledged working reporters does them a disservice and it could also be dangerous for them and for us. I do not want to seem like an old fogey, or as someone who thinks that the average 18-year-old is not mature enough to be treated like an adult. Of course they are and they deserve respect from their teachers and from members of the public that they interact with when we send them out into the world beyond the campus to practice their journalism. And that word practice is the key. It is practice, to do something repeatedly in order to gain the skill; rather than practice as the performance of the work of a trade or profession that students are engaged in. In my view, if we do not acknowledge the student status of our students (no, that’s not a tautology), we are not being diligent in our duty of care (the pastoral role of all teachers at all levels) to ensure that we “first do no harm”. Yes, we have to, as Paul rightly points out, engage our students in the daily routines and socialisation of newsroom practice and we have to move beyond the newsroom model too; but in doing so, we have to be constantly mindful that our pupils must be kept safe. It is true that often the best way to learn is by failure — trial and error — and getting your hands dirty in real journalism exercises is valuable and effective pedagogy, but our students also need to know that the consequences of their failures are not catastrophic. I have no problem with most of Paul’s points. Putting students in touch with local news outlets which might take their work is a key part of their learning experience. That is also why we offer internships and other work-experience opportunities. At my university we even give it a fancy name “work-integrated learning” and the acronym WIL. It is integrated into everything we do. The same logic motivates us (journalism academics) to provide students with in-house publication outlets, from newsprint, through collaborations with local community radio and television stations and, increasingly, an online presence edited by tutors, or “journalists-in-residence”. I think the danger in Paul’s assertion that there are no student journalists is that it might encourage us to forget that we are no longer in the news business. We are, first and foremost, in the education business. The job of the journalism academic (at least in the teaching side) is to educate, not to chase the news. We can sometimes forget this and can get caught up in the day-to-day excitement of the hunt for news and chasing the story of the day. But my advice for journalism academics who think this is the main game is simple: Go back to the newsroom. It is not our job any more to get the “scoop”, we should not be thinking that the best way to influence the news process is to become part of it again from the sanctuary of the ivory tower. Sure, we need to act as editor, sub-editor and mentor to the student journalists in our classrooms, but we should do this from the perspective of teaching and learning, not from the view of an editor whose job is to rundown the news and satisfy the public demand for information. Any publication that arises from the work our students do while learning journalism is secondary to the real goal which has to be ensuring that the student experience of journalism education is a good one; that the learning outcomes are met; that the assignments are suitable to the level of study and that the students do not leave our institutions scarred for life because of a bad situation that could have and should have been managed more effectively. One final point, which is also a comment on Paul’s reference to the “teaching hospital” model of journalism education which is based on the premise that university journalism programs should be covering local communities as a matter of course and as a priority at the top of the list of all the things they should be doing. The key argument in favour of this is not one of pedagogy but of pragmatism. The reasoning advanced by supporters of this model is that the mainstream media is failing both in terms of garnering and holding public trust and also in terms of business modelling. This is no doubt true and has been for a while. 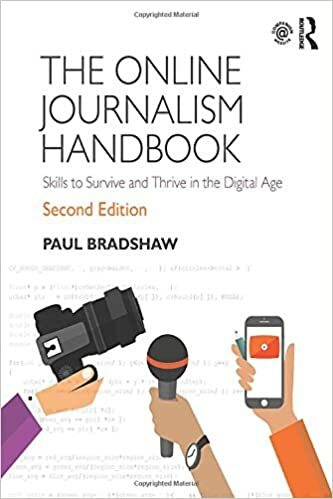 I wrote extensively on these issues in my 2011 book News 2.0 and I gave it the subtitle “Can journalism survive the Internet?” However, it is not, in my view, the fundamental role of the j-school to substitute for a strong news media outside the campus. Maybe our graduates can be part of the solution to the declining popularity and profitability of the news industry, but not while they are students. To expect that of them is to place too much pressure on their shoulders at a time when they should be engaged with learning and critique. This blog is written in a style that attempts to emulate the late, great Hunter S Thompson. It is gonzo in expression and should not be mistaken for or compared to writing I do that is more academic and measured in tone. This blog is a reflection of Ethical Martini and should not be read as the whole essence of who I am. It is a literary method that draws on Orwell - truth is a revolutionary act and Gonzo - the first-person, colourful, forceful, satirical and humorous affect of HST. If you take this blog too seriously or read too much out of it, then I apologise in advance for offending you. If, on the other hand, you are of a species known as "dribblejaws" and you're looking for a fight over politics or language, then this is probably not the place for you. I get angry at injustice and I'm not afraid to get my hands dirty, though I prefer bomb-chucking to foxhole digging. I enjoy life, including the occasional martini; you should too. I actually agree with most of your points and opinions and I do agree with Paul that the “student journalists” are doing the same job as regular journalists. I love how your titled this. I’m pleasantly surprised that this post is directed mostly to journalism educators. It’s a perspective I’ve rarely seen in the dialogue about “student journalism”. At the same time, I’d like to share my perspective from the student side of the dialogue. I *hope* that I’m still committing acts of journalism at school, but I agree that it is easy to lose focus a student. After all, journalism schools exist for a reason. However, I think that having an undue focus on being a “real journalist” takes away the real reason we’re going to school at all–to learn! With only to a Pinocchian obsession of being “real,” Journalism school (and we) are stripped of our souls and miss the opportunity to learn and work in a “safe” learning environment. Although I might get a little flak from other students, I’d like to compare journalism students to human children. In a harsh environment, helpless babies would probably be better off if they were born fully-functioning, miniature adults, like many species. However, they are not psychologically prepared to function at that advanced level from the start. Although I don’t doubt that I could enter any newsroom at this point in my student career and produce quality journalism, I’m still grasping the nuances of the profession and learning from colorful and diverse mentors who I might not find in my local newsroom. Frankly, my days as a student won’t last forever. Why shun them, or pretend they don’t exist? Rather, I’m going to take advantage of this unique learning environment and make all the mistakes now that I’d otherwise be making in the field. Thank you for such a thought-provoking post–I’ll be thinking about this for a while! I agree that the title “student Journalist” is not entirely accurate for a student who is simply blogging etc.because I believe journalism is a craft. And much like other crafts, simply going to journalism school is not enough to call oneself a journalist. In order to obtain the full title of being a true journalist, a writer must learn the craft of journalism and that will only be accomplished in the real world, not in a classroom alone. What we should call them is “Journalist apprentices” instead. But of course that raises an entirely new question. In a world with technology that is changing so quickly, is the craft of journalism still important? Is it accurate to say that today’s so called journalists are actually upholding the traditional definition of being journalists or is the technology we now find ourselves in the middle of simply creating a new bread of writers that have no grasp of journalism being more than putting a pretty thought (or ugly for that matter) in a piece of media and calling it journalism? Just some food for thought here, put I fear that we could have a bigger problem on our hands then simply what we are calling the up and coming “journalists” of our future.